The number of car and train accidents in Egypt have risen during the first six months of 2015 in comparison to the same time period in 2014, according to the Central Agency for Public Mobilization and Statistics (CAPMAS). According to CAPMAS’ report, which was released on Monday, the number of car accidents rose by 3.5 percent to 6,916 accidents during the first half of the year, while train accidents increased by 38.8 percent to 461 accidents. While the number of fatalities resulting from car accidents dropped 2.8 percent from 3,025 to 2,808, the number of fatalities in train accidents increased 200 percent from 14 to 42. The report also said that injuries were less frequent in car accidents but more than quadrupled in train accidents. According to the report, the highest number of train accidents occurred in Lower Egypt, while the Central Egypt area recorded the lowest frequency of train accidents. In 2014, a total of over 14,000 accidents and over 6,000 deaths were recorded, according to CAPMAS. 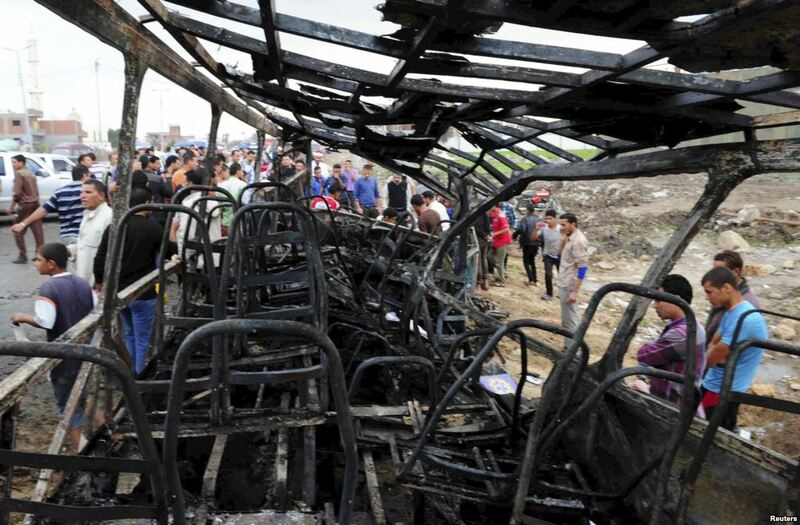 Last year, 44 people were killed and another 40 were injured when two buses carrying visitors and local workers crashed into each other on the road to Sharm El-Sheikh. The accident was the deadliest since 2012, when 51 children between the ages of four to six were killed after their school bus collided with a train. In an attempt to curb the rise of road fatalities, the Egyptian government introduced a nationwide campaign to conduct random drug tests on school bus drivers.